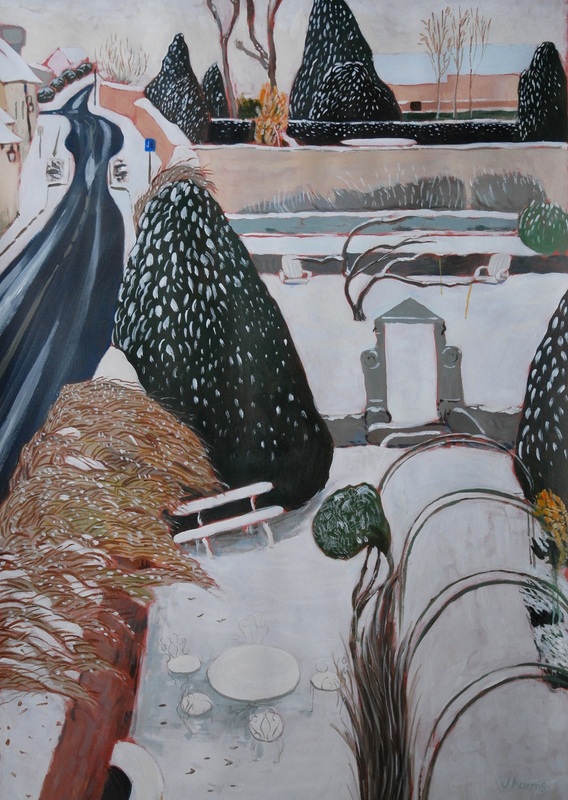 Garden Under The Snow 2010 | J.Harms. Garden under the snow (2010). The view from room 7 overlooks the snowy garden of the Prieuré, quiet and peaceful. A wall separates it from the street. Further up the road, behind the farm wall, the water tower.